How much do you know about plumbing? If you’re a homeowner, you’re going to want to take the time to learn a bit more about plumbing and how it works. Here’s what you need to do if you want fresh information on plumbing. One of the most common plumbing issues you’re going to be running into is a clogged toilet. Thankfully, this is a problem that’s very easy to fix. If you purchase a plunger, you’ll be able to take care of a lot of clogs with ease. Plungers are inexpensive, and they will definitely come in handy. Find a nice plunger and keep in a convenient location. Make sure you’ll always be able to find your plunger when you need it. If you’re dealing with a leak, you’ll want to make sure you will be able to shut off the water before the problem spirals out of control. Being able to shut off water valves will give you time to assess the problem and call a plumber if needed. Typically, turning off the water in an area is extremely simple. With that said, you’ll want to make sure you know where all of the valves in your home are. Make sure you’ll always be able to turn off the water when you need to. Figure out how to do this ahead of time, and you’ll be able to save yourself a lot of trouble in the future. Another common problem in homes in a clogged drain. 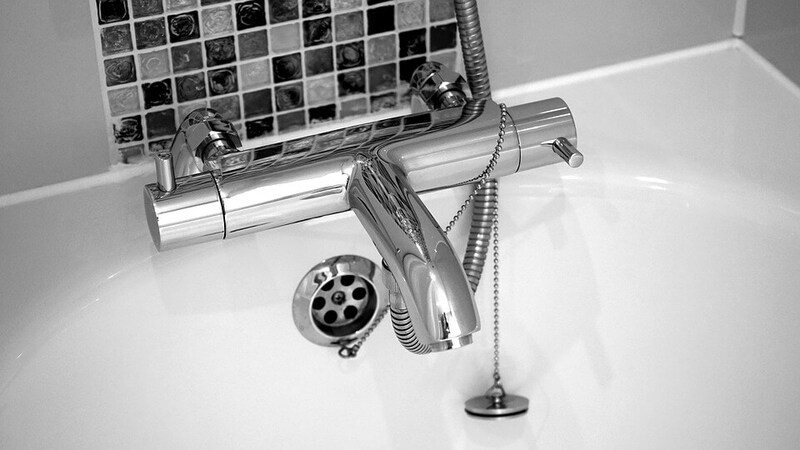 You’ll wind up spending a lot of money if you call a plumber every time this issue crops up. You’ll save yourself a lot of cash if you figure out how to tackle this problem on your own. If you want to deal with clogs, the best thing you can do is by a drain snake. A snake is an easy way to clear away the hair or food that is clogging your drain. Drain cleaner can also do the trick. Just make sure you don’t mix two different cleaners! The secret to plumbing isn’t just knowing what you should do. It’s knowing what you shouldn’t do. For example, you should never pour grease down your kitchen drain. Instead, you should give the grease a chance to harden. Once it does, you can scrape it out of the container and toss it in the trash. A lot of plumbing issues are caused by avoidable mistakes. If you know what you can and can’t do, you’ll be able to sidestep these mistakes. Learn more about the most common issues that people encounter. Figure out what you need to do to avoid all of these problems. You should absolutely be able to handle some plumbing problems on your own. However, you can’t do everything yourself. In some cases, you’re going to want to hire a professional plumber. Make sure you know your limits so that you can call a plumber when you really need one. Trying to tackle plumbing problems without the right tools can cause a lot of damage. Figure out what you can and can’t do. Bring in a plumber when you need to. These simple plumbing tips should be very helpful to homeowners. There are a lot of responsibilities you have to handle when you own your own home. Keep these tips in mind, and you’ll be able to make sure that everything gets handled smoothly.